Beast vs. Slasher, an intense new Adversary Mode for GTA Online, is out today on PS4, Xbox One, and PC. A team of Beasts blessed with superhuman abilities must evade the clutches of the pursuing Slashers. To help them on their merry way, Beasts are gifted not only with wild speed, but can leap over buildings and have temporary invisibility. 'Twas the night before Christmas, when all through the house, a creature was stirring, but it wasn't a mouse. 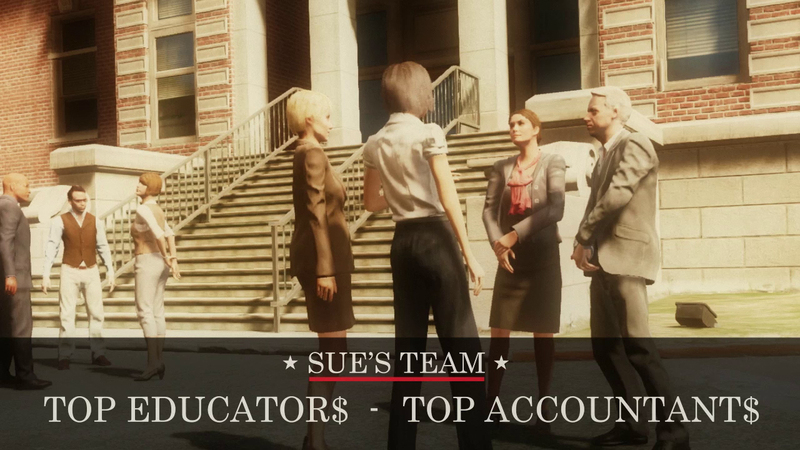 To give the Slasher Team a fighting chance, they're split into three sub-teams: Demolition, Heavy and Assault armed with RPGs, Miniguns and for the first time in GTA Online... Railguns. And if being armed to the teeth isn't enough, Slashers are also equipped with thermal vision to help seek out and bring down the elusive Beasts. Supporting 4-10 players, both teams will need to stay on the move and work together with their teammates to prevail in this new Adversary Mode. Suit up and hit the streets as snowball battles return to GTA Online. 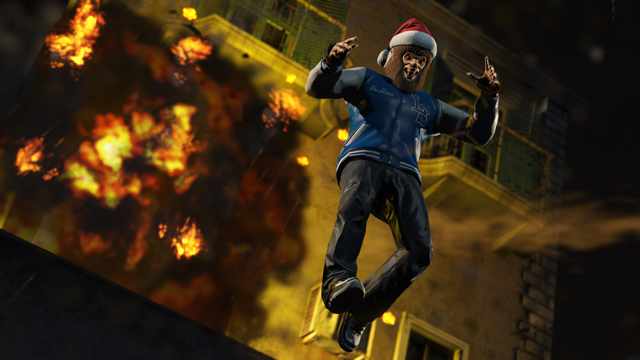 Today marks the return of the rare phenomenon of Los Santos snowfall to GTA Online across all five platforms, so bundle up warm in your new Santa Costume and head outside to enjoy a snowball fight (press left on the d-pad to collect up to 9 snowballs). All players will also receive an early gift from Santa: a Fireworks Launcher with 5 rockets to help celebrate the Holiday Season with a bang. 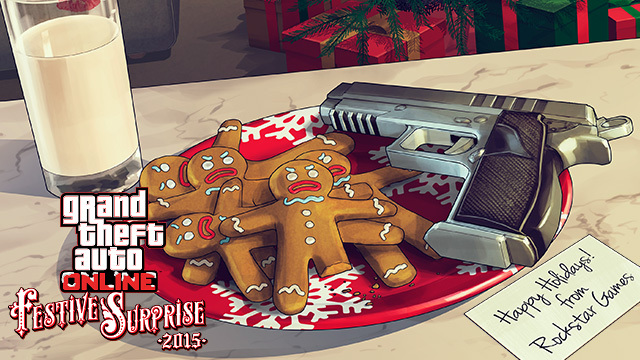 And be sure to look out for more gifts under the tree when you log in to GTA Online on Christmas Day! The new Tampa, now available permanently in GTA Online for PS4, Xbox One and PC. Southern San Andreas Super Autos has bolstered its showroom inventory with the permanent addition of the brand new Declasse Tampa for PS4, Xbox One, and PC. Now that players can own up to five properties in GTA Online, make sure you take full advantage of all that extra garage space and pick up this ferocious new sleigh. Happy holidays and join the fun in the forums! 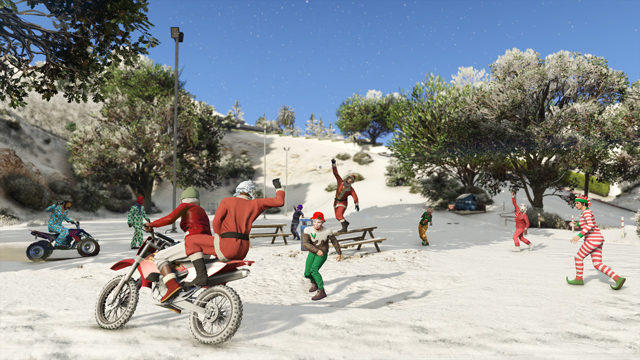 Snowfall, Gifts, New Adversary Mode, Tampa - Put on your snow boots and head out for a snowball fight in GTA Online! Plus there are more Christmas gifts as well as a new Beast vs Slasher Adversary Mode.